Jon Ladd, 36, of Medway was arrested for drug trafficking Saturday after police say they found him passed out in car in Orland. A Medway man is facing drug trafficking charges after police say they found him passed out in a car and in possession of illegal opioids. 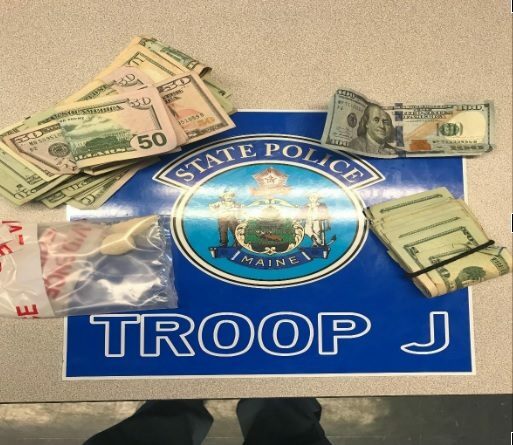 A state trooper was called to Orland on Saturday after receiving a report that a man, later identified as 36-year-old Jon Ladd, was passed out behind the wheel of a car, according to the Maine State Police. When Trooper Dana Austin arrived at the scene, Austin found Ladd showed signs of recent drug use and drug paraphernalia in plain view in the car, the state police said. A search of the vehicle allegedly turned up 10 grams of what police believe to be either heroin or fentanyl, as well as $1,727 is suspected drug proceeds. Ladd was charged with trafficking in schedule W drugs, the state police said. The Maine State Police were assisted at the scene by the Bucksport Police Department.